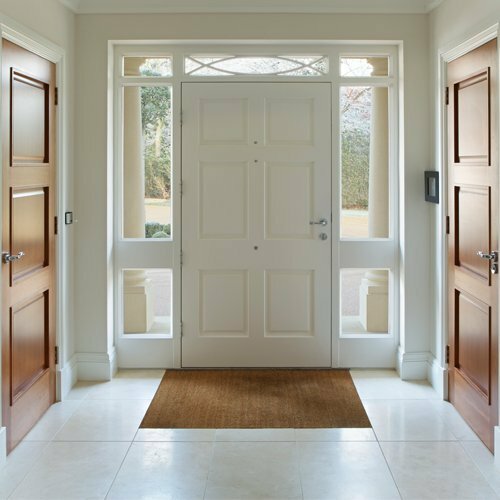 Is your property prone to vandalism or theft? Well, an advanced home surveillance system is what you need. 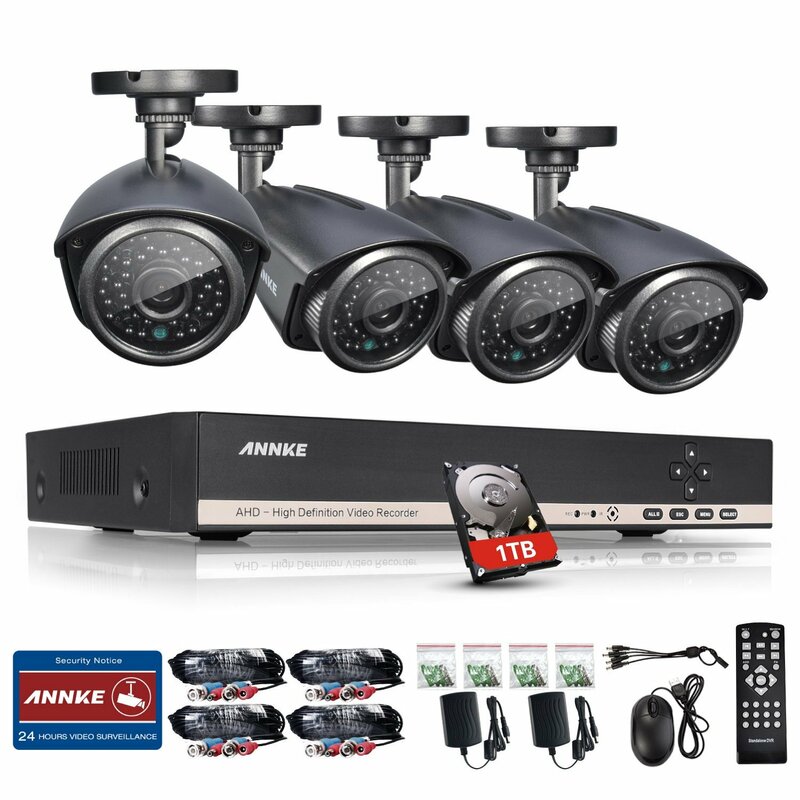 And there is no better way to achieve that than with an outdoor security camera system. These devices provide top-notch surveillance and give you peace of mind knowing that your hard-invested property is well protected. 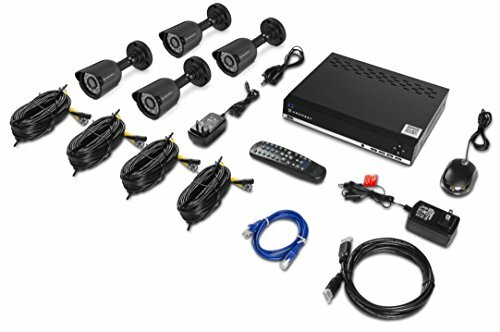 The market has many types of security camera systems that incorporate different styles and technology. Therefore choosing the best for your home is quite crucial. But how on earth do you determine the best from the multiple options available? 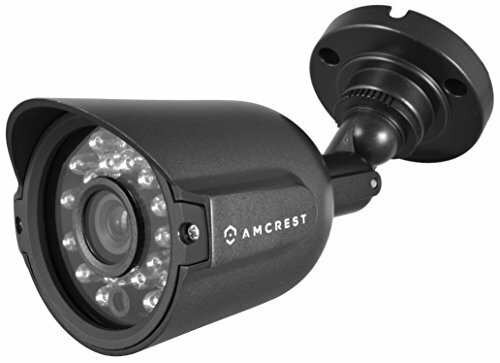 Or what models top the list in the world of outdoor security cameras? Well, this article provides an in-depth answer regarding that. I’m going to review the top 10 models and outline their benefits as well as disadvantages. Furthermore, I will touch on some few basics you need to consider in order to select the best outdoor security camera system on the market. Dedicate a few minutes of your time and let me walk you through the entire article. 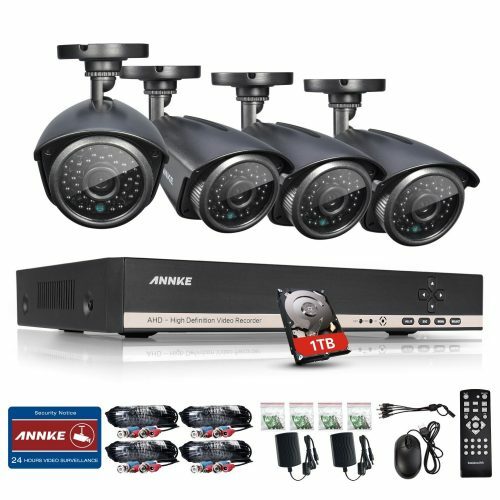 Annke security camera comes in handy for those that desire great storage space. It comes pre-installed with 1 TB hard drive that lasts many days of constant recording. There are 4 cameras each equipped with a 3.6 mm lens for wide angle view. 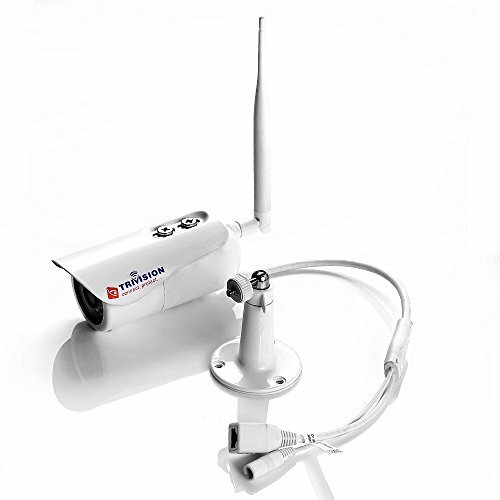 The cameras record video in 720p HD mode and can swivel 75 degrees on the horizontal. 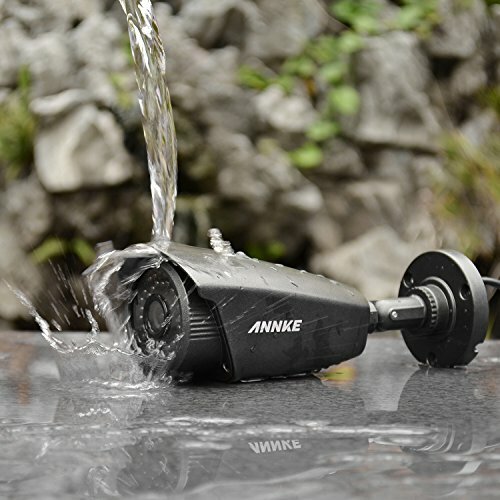 Annke 8CH 1080N has 36 Infrared LEDs that provide a night vision range of 100 feet. 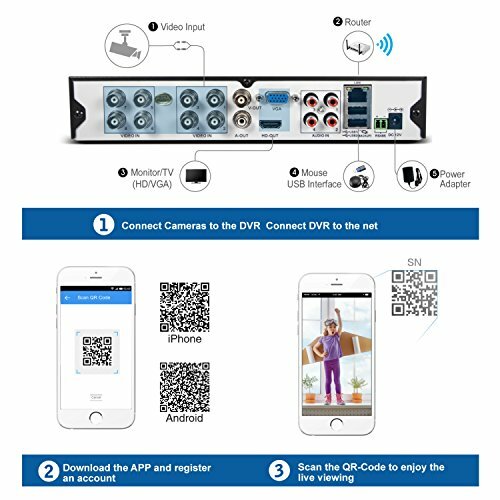 This security camera system provides the option of both HDMI and VGA output for flexible display. 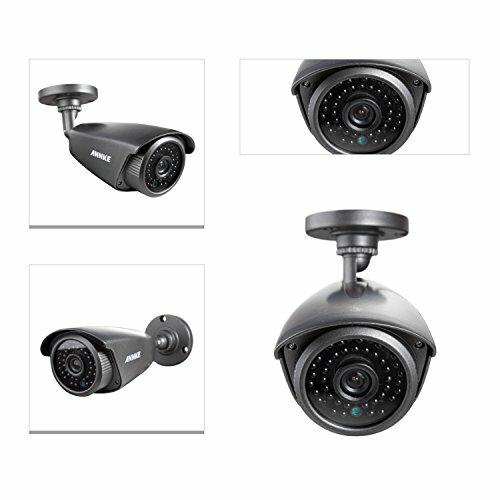 These cameras come in a rugged metallic construction that provides all-weather protection. 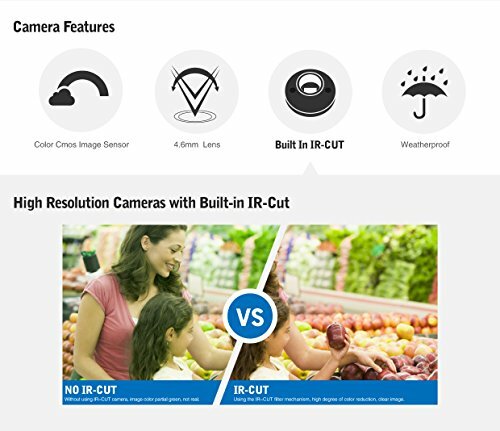 There is a total of 4 cameras equipped with high-resolution lenses that deliver superior quality images. 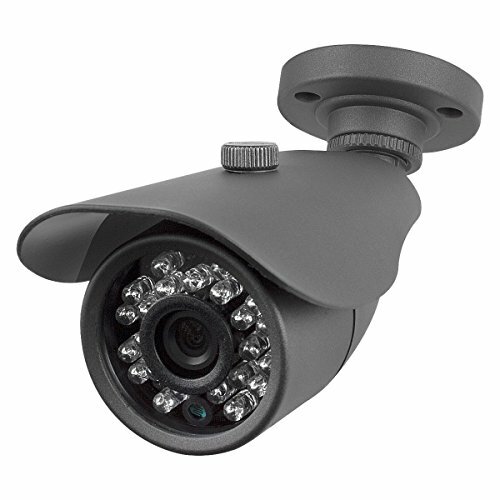 Each camera has 24 Infrared LEDs that activate automatically in low lighting conditions. 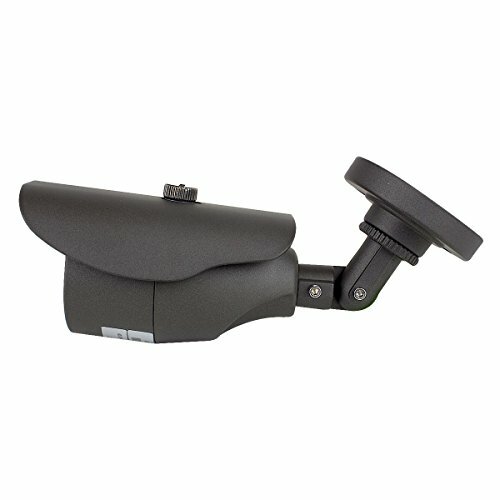 They provide excellent night vision within a range of 65 feet. 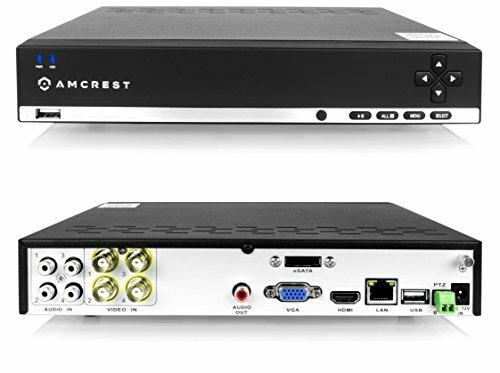 Amcrest 960H Security System has a transmission range of 984 feet. There is a 500 GB hard disk to accommodate all your video recordings. 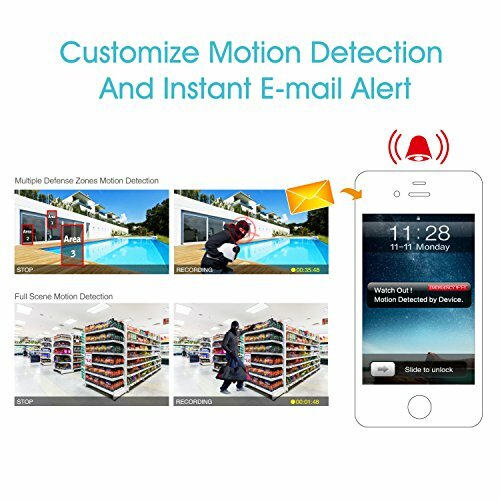 This security camera can record continuously for up to 6 days. 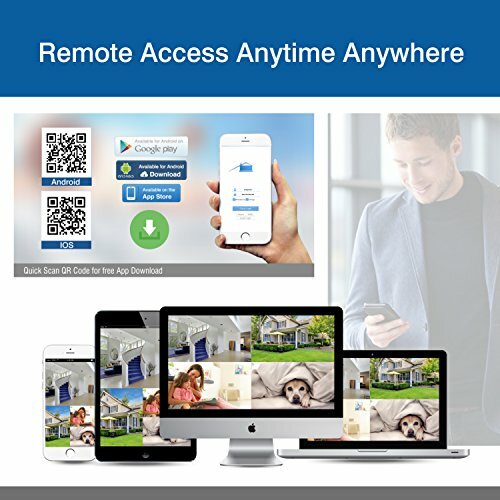 You can link it to your smartphone device for excellent monitoring wherever you are. 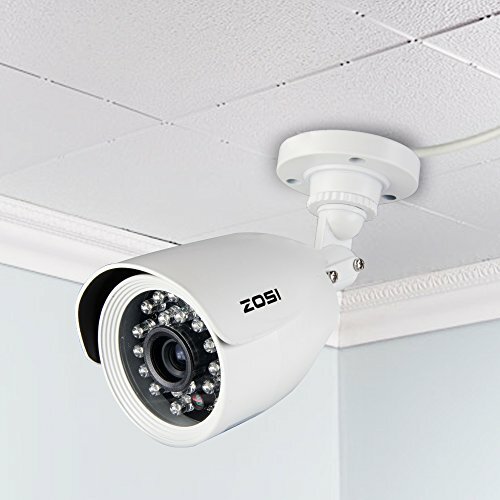 This camera system comes as a single, compact piece that allows for easy and quick installation. The 4mm lens equipped in this camera has the capacity to deliver quality video in high definition. All your video recordings are stored in a 128 GB microSD memory card. 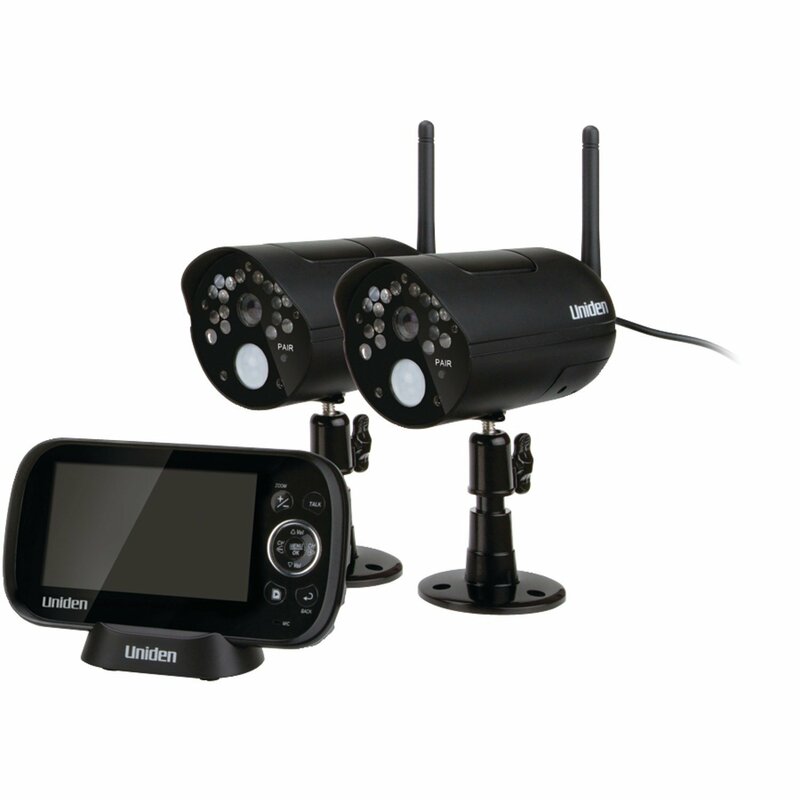 The camera makes use of an advanced infrared technology to provide excellent night vision of 30 feet away. 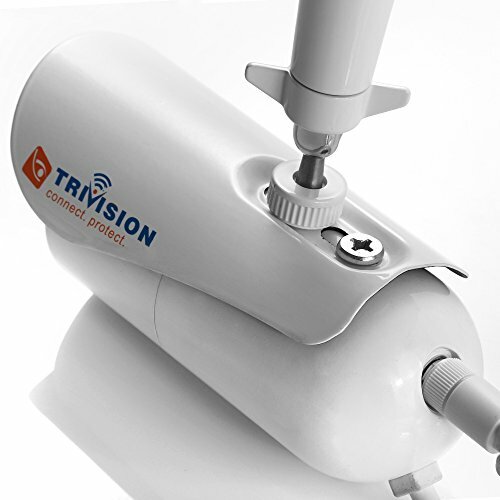 Trivision NC-335PW has an ultra-wide angle coverage of 90 degrees on the horizontal and 50 degrees vertical. 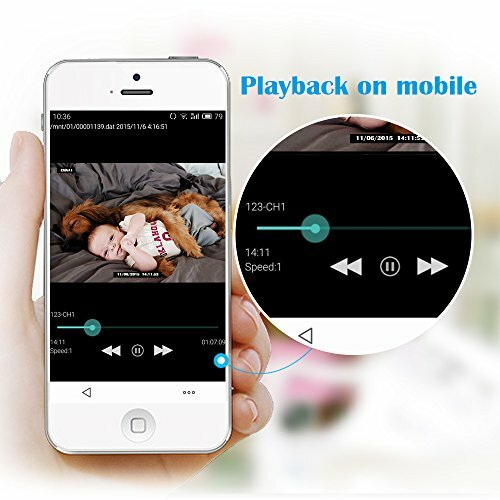 It can easily link to your smartphone device or PC for large screen viewing. 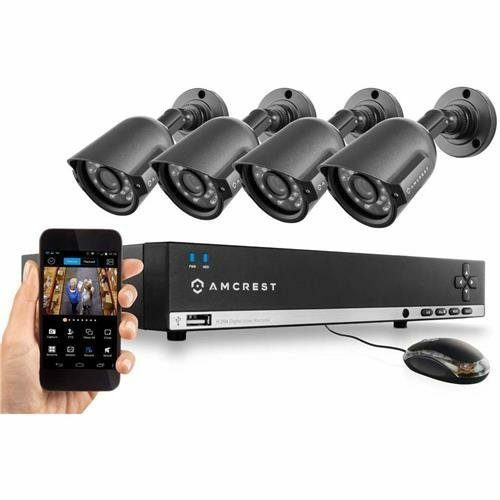 Want a security camera system that can easily fit in your hand? 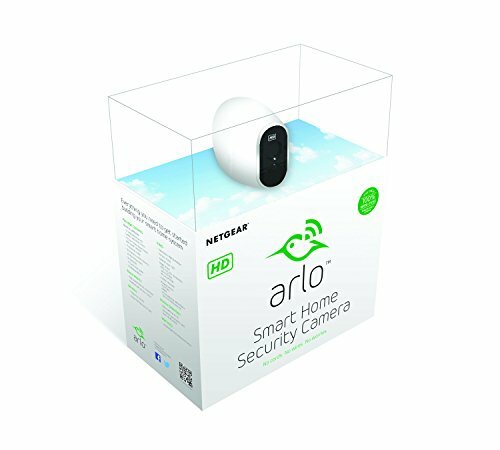 Well, Arlo Smart Home camera provides you with just that. This HD camera comes in a compact size of 5.08 x 11.7 x 9.42 inches and weighs a mere 2.93 pounds. It has excellent night vision to a maximum range of 20 feet. 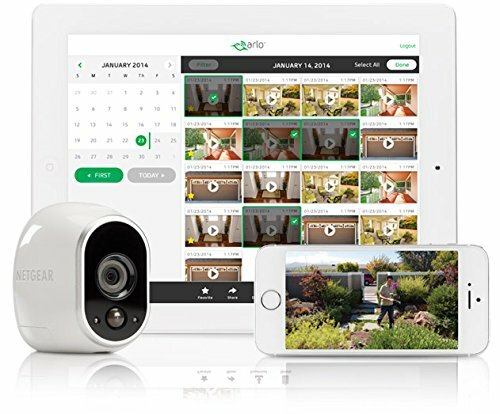 Arlo Smart Home provides the convenience of 100-percent wireless transmission. 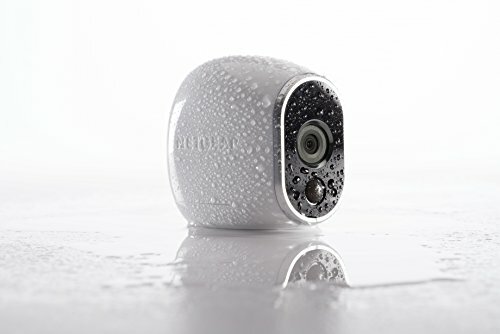 The camera has a tight sealing, a rugged shell that renders it weatherproof. 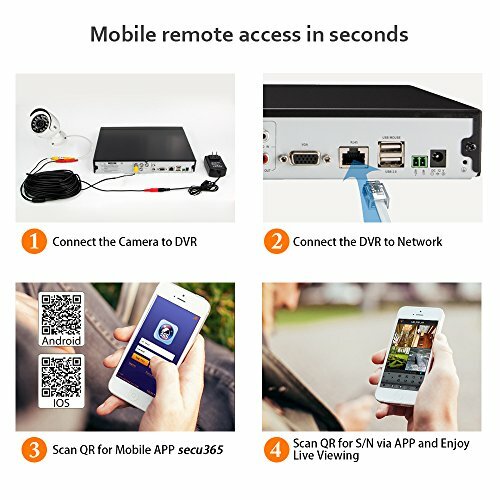 This camera doesn’t require you to link to your device in order to get a better view. It comes with its own 4.3-inch color display. You have the option of zooming in to achieve better clarity. 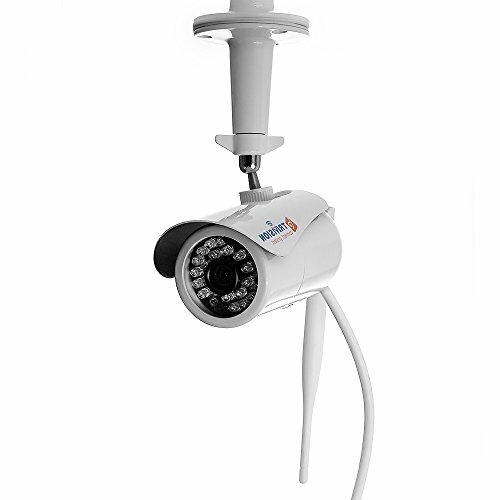 The system includes 2 weatherproof cameras that have a motion detection range of up to 40 feet. 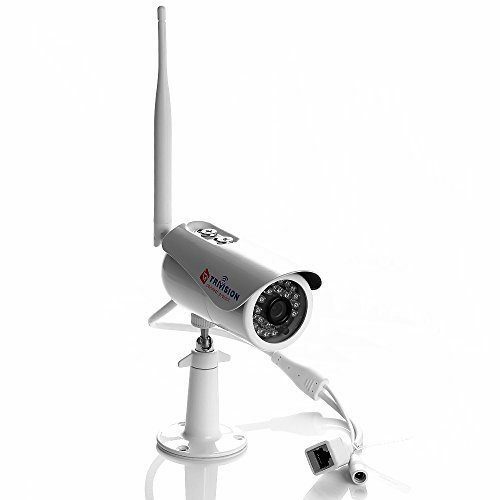 Uniden UDR444 provides excellent wireless transmission range of up to 500 feet. You have up to 16 hours of continuous recording, thanks to the included microSD storage. 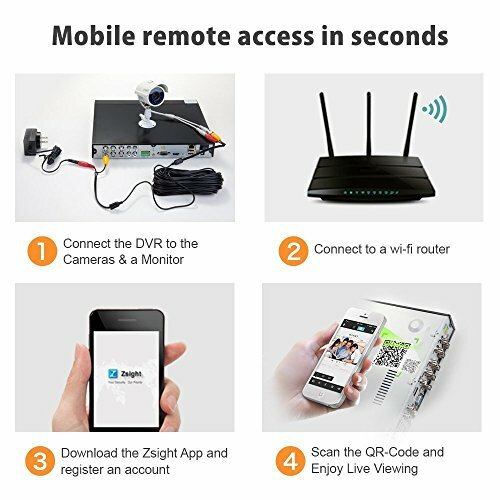 You don’t need any professional service when installing this security camera. It’s as easy as it can ever get. The camera comes with a free app that provides live view and playback option. 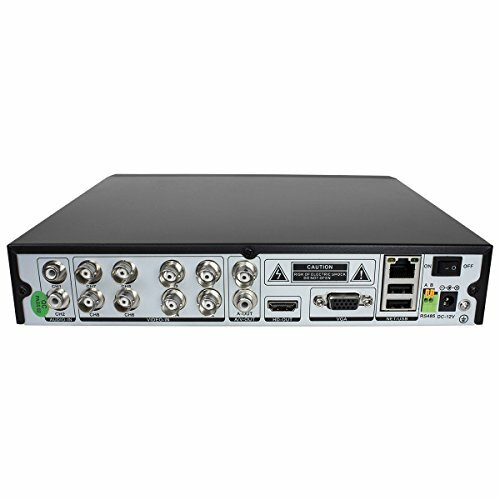 It is compatible with a 500GB hard drive that provides up to 30 days of constant recording. The 3.6mm lens provides ultra-wide angle view and is equipped with infrared night vision of up to 65 feet. 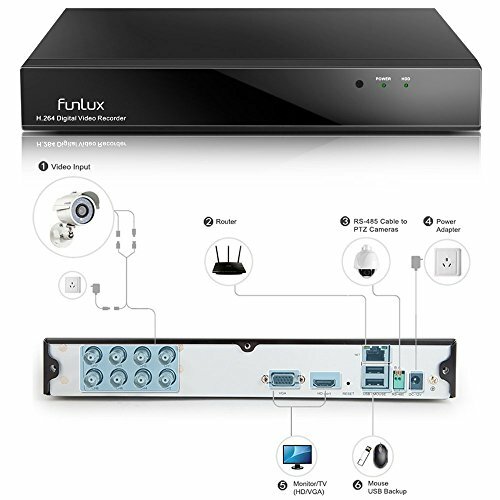 Funlux KS-Y84UH delivers quality images that are true to color. 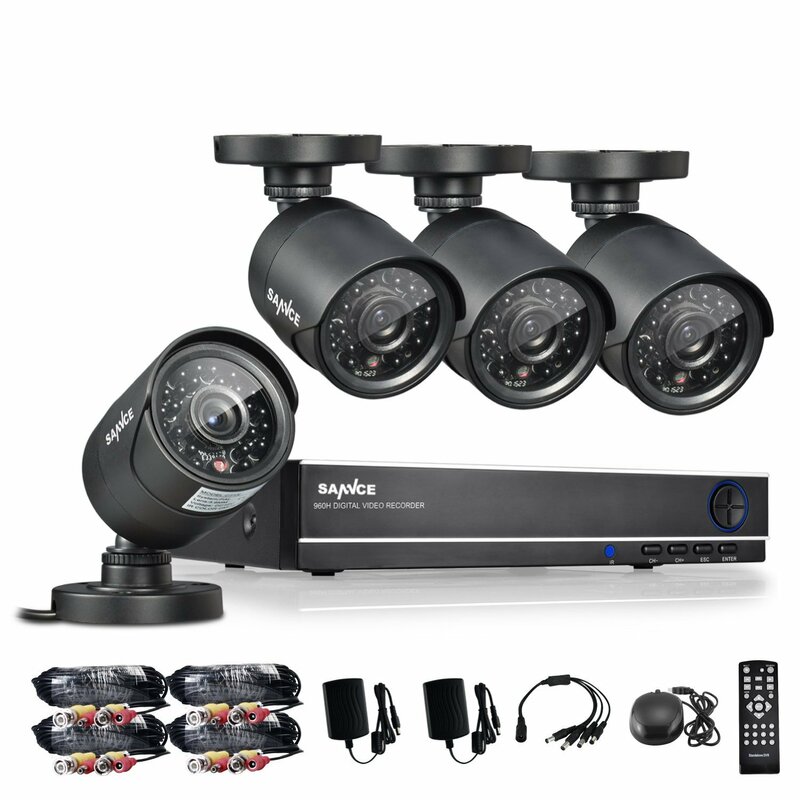 This is a complete package in your home surveillance system. 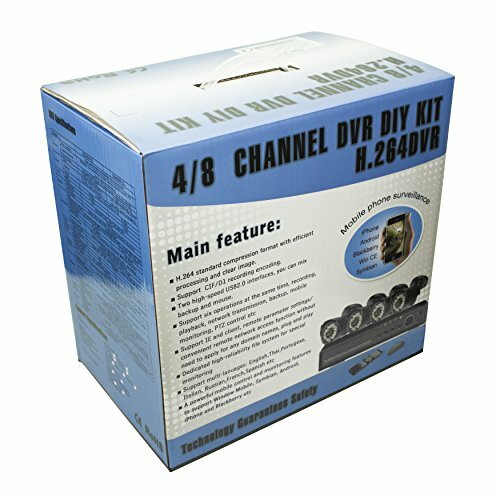 Best Vision Systems SK-DVR-DIY has whopping 8 channels designed to provide excellent real-time recording. It delivers quality video at a refresh rate of 120 fps. 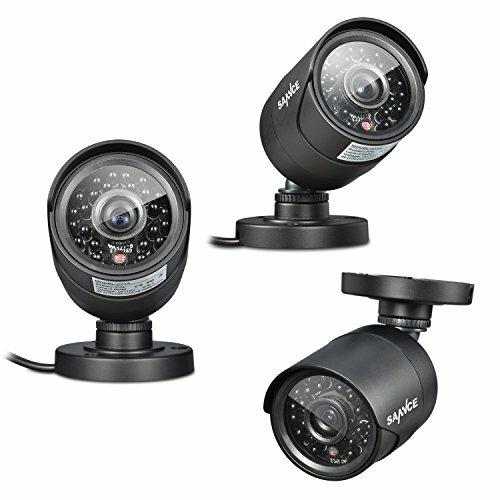 Each of the 4 cameras is equipped with an advanced CMOS sensor for better motion detection. The 24 Infrared LEDs provide 65 feet of night range vision. 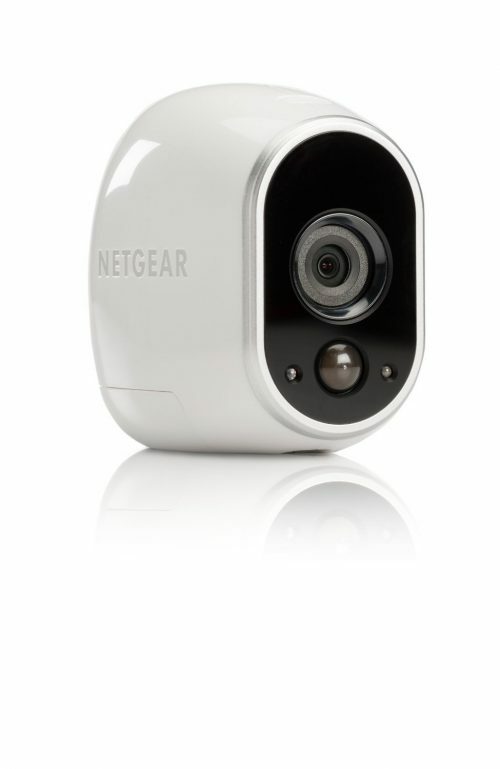 The cameras are weather resistant and come pre-installed with 500GB hard drive for days of constant recording. 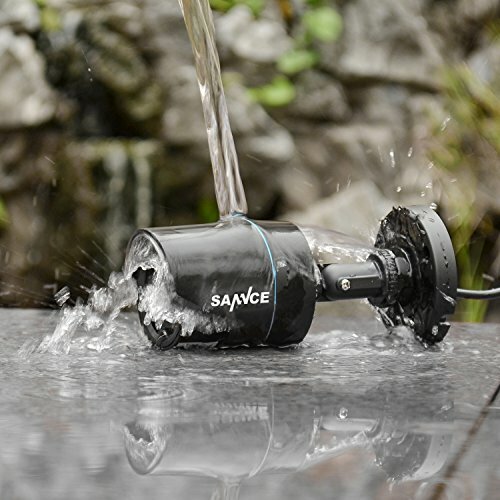 With this Sannce surveillance camera system, you are assured of great video capture regardless of the lighting condition, thanks to its advanced infrared cut filter. 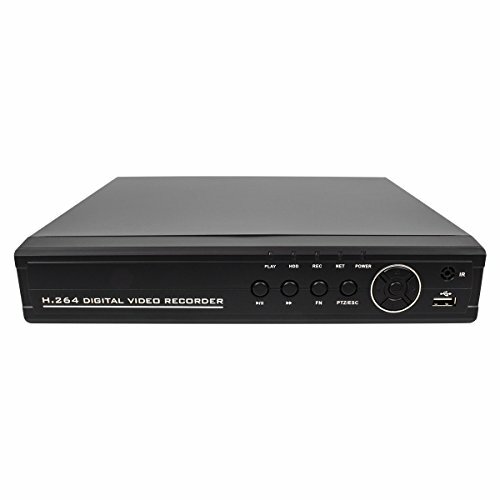 The integrated USB port provides convenient backup for all your video recordings. 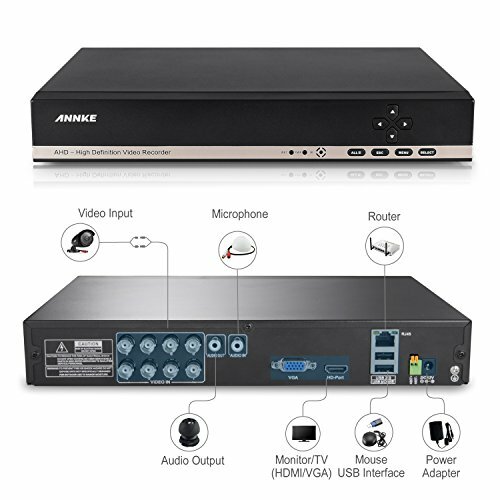 Sannce 960H boasts of a 3-in-1 video output: HDMI, VGA, and BNC. The cameras have CMOS sensors and provide a night vision range of up to 85 feet. This camera system is a mix of elegance and great functionality. 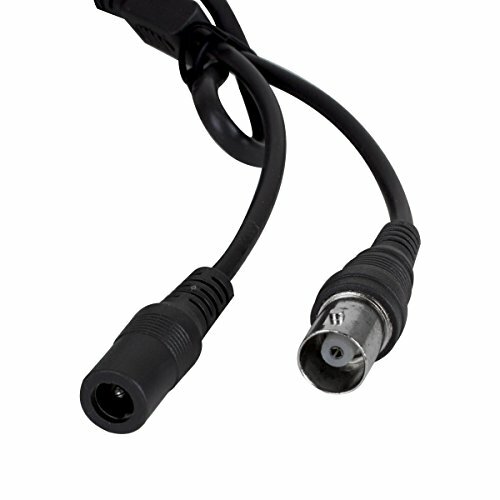 It provides high-resolution video of 1920 x 1080P for ultimate HD experience. It delivers real-time recording at a refresh rate of 30 fps. 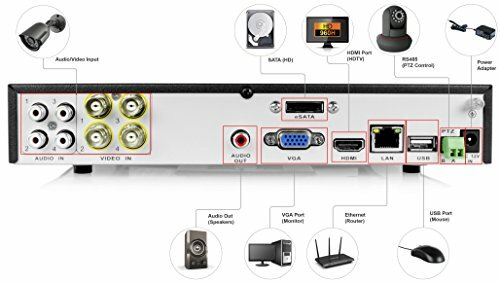 ELEC 4 Channel 960H supports multiple screen viewing enabling you to monitor several areas at a go. 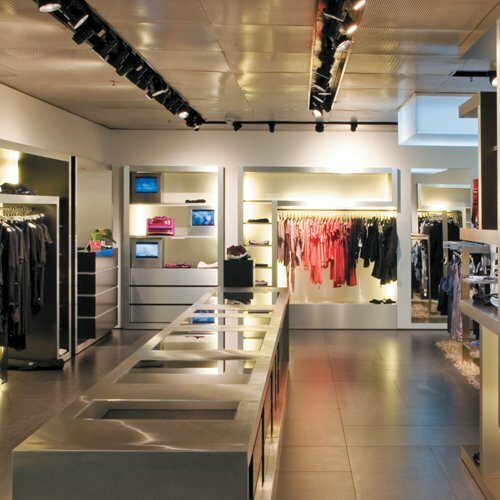 The infrared LEDs have a night vision range of up to 85 feet. The ELEC system is pre-installed with 1 TB hard drive. 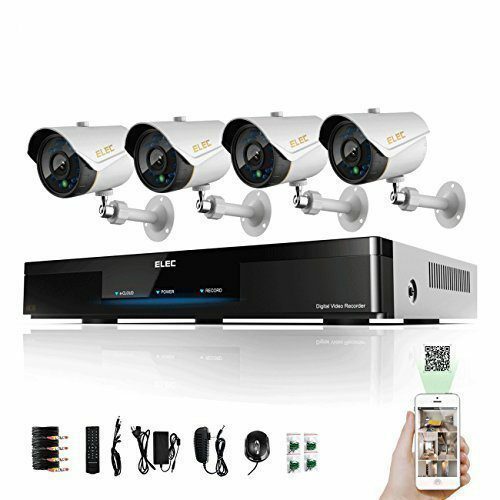 This security system consists of 4 pieces of bullet type cameras. 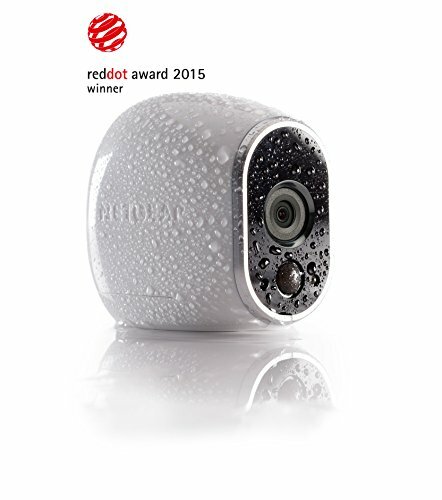 The cameras are specially engineered to be used in any kind of weather. They are equipped with a 4.6 mm lens and state-of-the-art CMOS sensors for excellent motion detection. 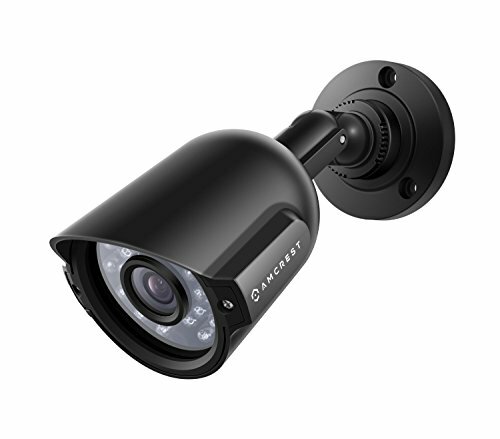 The cameras are infused with infrared technology capable of providing a night vision range of 65 feet. 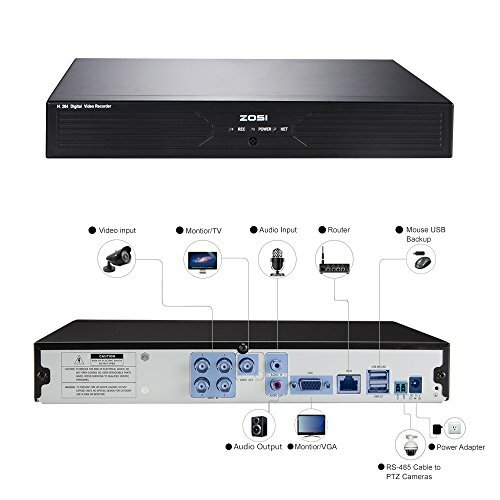 ZOSI 4CH has 4 input video channels and can support up to 2 TB SATA drive. They say it’s better to teach someone how to fish than give them fish. 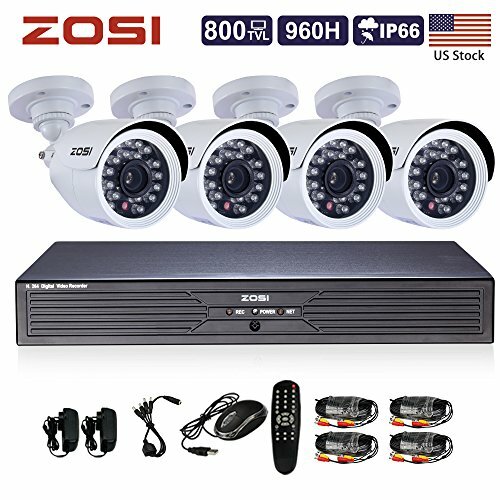 Let me apply this slogan by showing you how to select the best security camera system. 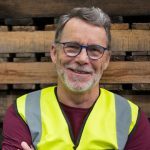 There are many factors that come to play during the selection process. However, it’s hard and time-consuming trying to go through all of them. I have decided to select only the major factors that affect your purchase the most. What range do you need in your security camera? Well, for bigger homes it is better to go for a longer range device that covers more ground. 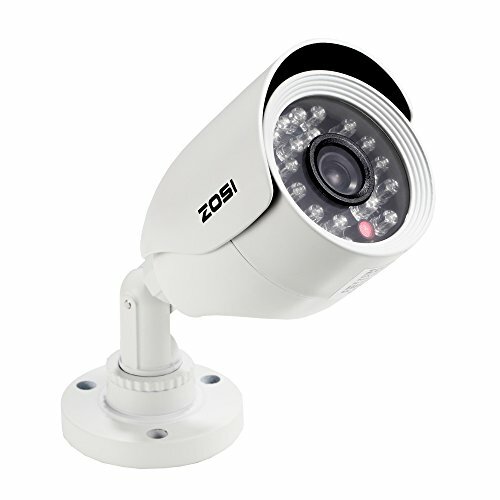 Some camera systems provide a motion detection range of up to 100 feet. Also, consider the transmission range. 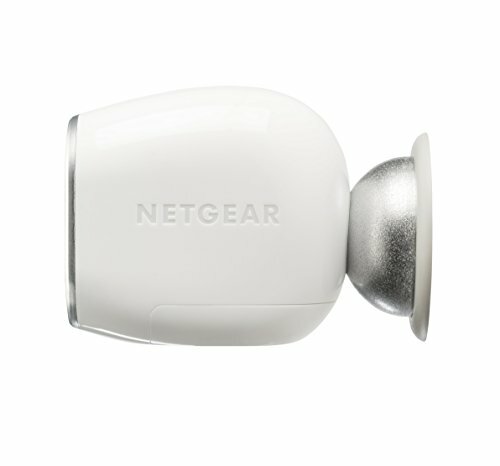 A longer transmission range will enable you to get real-time surveillance while on the go. However, it’s best to first determine your needs prior to deciding the range that might match your needs. 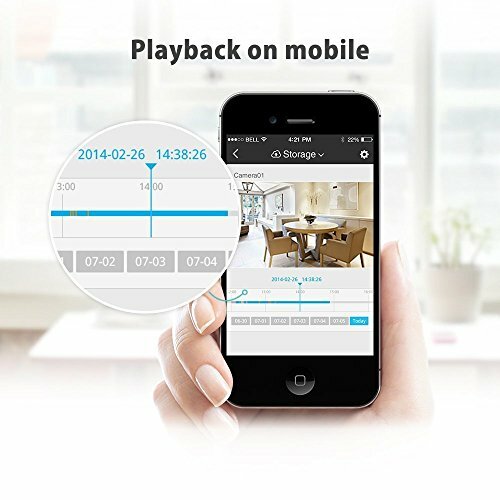 For how long do you plan on setting your security camera in recording mode? Well, it is better to go for a model that provides days of constant recording. 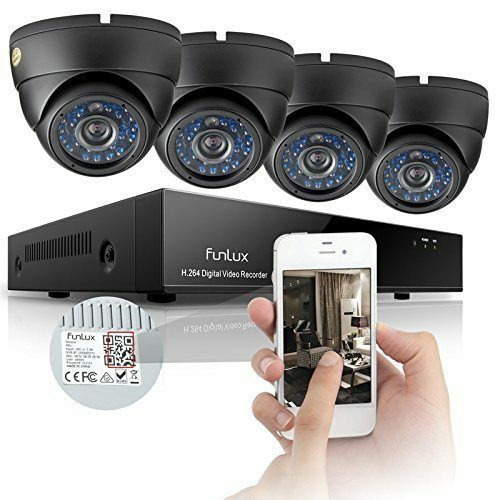 I know of some security cameras that provide 30 or more days of continuous recording. This ensures that they don’t skip any activity on the outdoors. 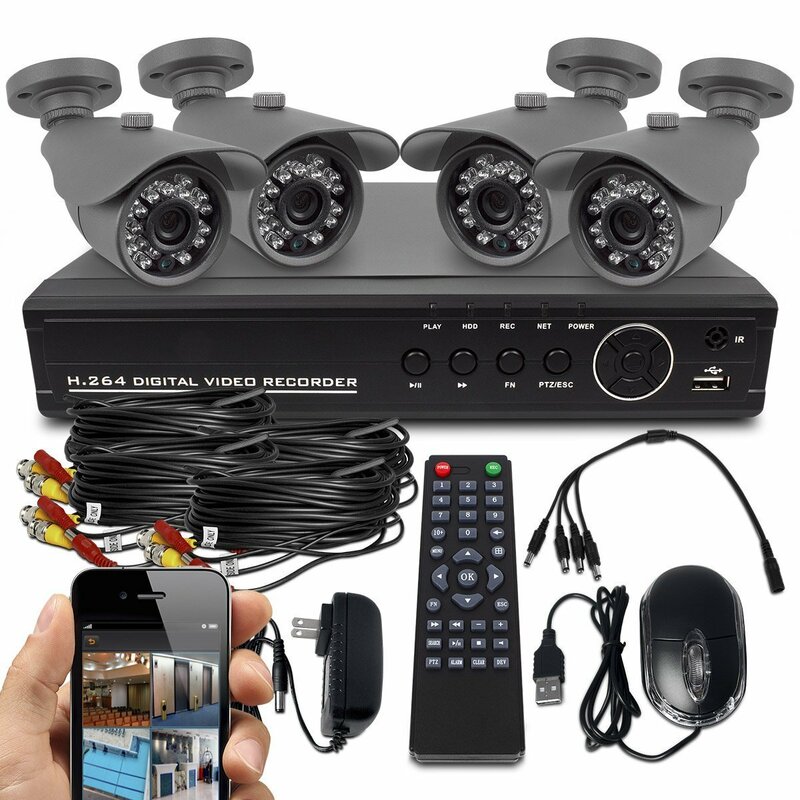 The recording time is largely determined by the storage capacity of the security camera. A storage capacity of at least 500 GB is better. Quality can be cheaper at times. This is true when it comes to security cameras. If your budget doesn’t allow the purchase of an expensive camera system, just go for a cheaper but quality alternative. 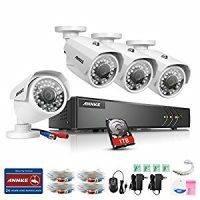 I have come across many cheaper models that have surprised me due to their impressive performance. Go for such models that will enable you to save some cash and still provide the performance you desire. 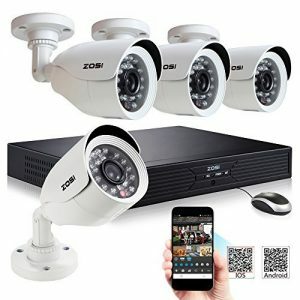 You will be spoiled for choice when it comes to selecting the best brand in outdoor security cameras. They are many in number each having their own style and design. However, be cautious enough to choose a brand that has been known to produce quality products over the years. From the look of it, this can be quite a challenging task. That is why I conducted some research to come up with the top brands that will provide great quality for your cash. Amcrest, Trivision, Uniden, Funlux, and Arlo are among the top brands to consider. Even the best product is prone to defects arising from poor craftsmanship. That is why you need a product that comes with a warranty. 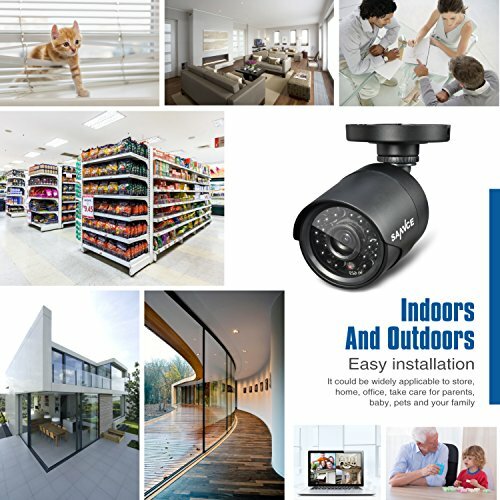 Choose an outdoor security camera that will cushion you in case of any inconveniences resulting from normal use of the product. 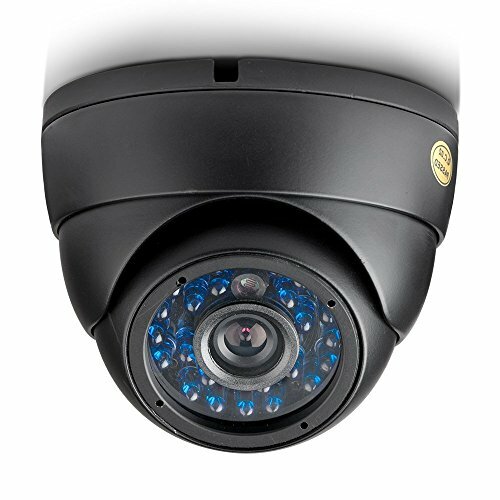 A generous warranty speaks much regarding the superior quality of your security camera. Therefore shun away from products that do not provide the option of a warranty or money back guarantee. The fight for the top spot in the world of outdoor security camera system is tight. However, there always has to be a winner even among the best. I have done an in-depth review of the above models and reached a verdict. 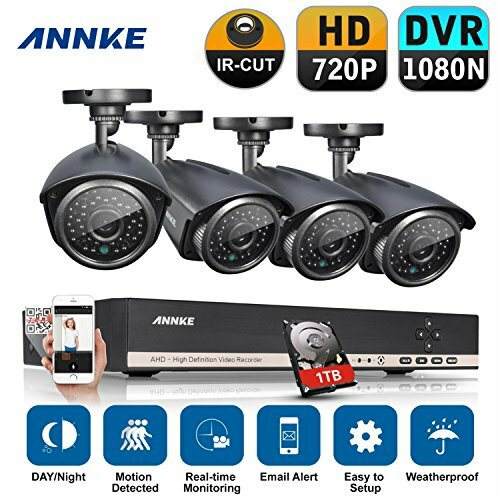 Annke 8CH 1080N DVR Recorder + 4HD 1.3MP Security Cameras impress me most. 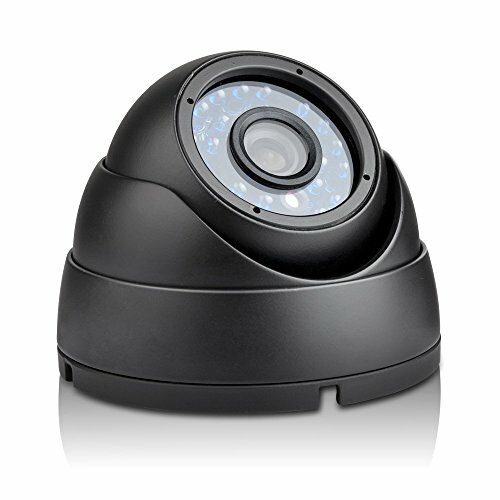 This security camera provides the longest night vision range of any model on the list. It also has the largest storage capacity that provides the longest recording time. And you get all these wonderful features at a price you can’t miss affording.